Melt the butter in a saucepan over medium heat. Add the flour and cook for 1 minute, stirring constantly. Add the milk and bring to a boil while stirring with a whisk. Simmer gently for about 5 minutes. Remove from the heat and add the grated cheese and the nutmeg. Stir until the cheese melts. Season with salt and pepper. Set aside. Arrange the asparagus spears on a baking sheet. Coat with oil. Season with salt and pepper. Broil until crisp-tender and lightly browned, about 5 minutes. Let cool partially. Place the prosciutto slices on a clean surface. 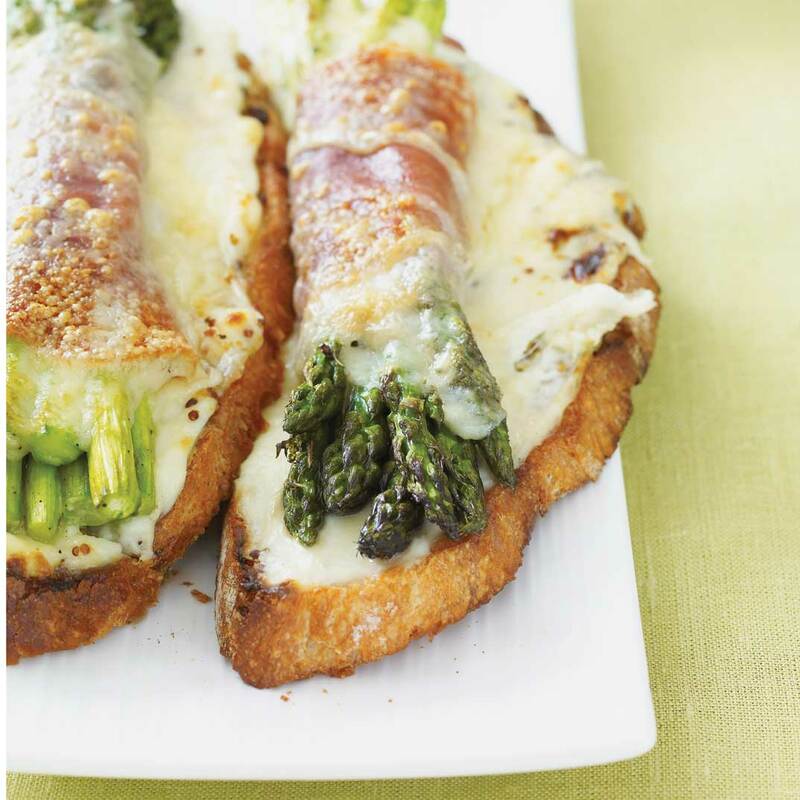 Divide the asparagus spears into 4 bundles and lay each bundle across a prosciutto slice. Roll the prosciutto around the asparagus, letting the spears stick out at each end. Set aside. 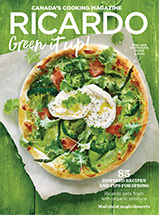 On the same baking sheet, toast both sides of the bread in the oven. Spread mustard on the toasts with mustard. Spoon cheese sauce over the toast. 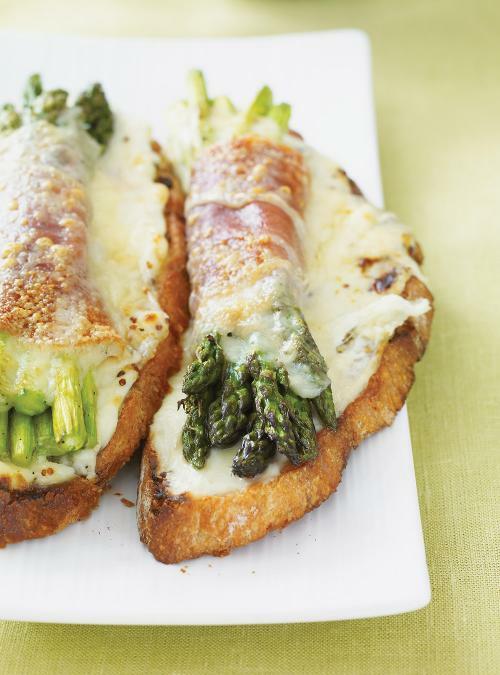 Place a prosciutto–asparagus roll on each slice of toast and top with a piece of cheese. Broil until the cheese is golden brown, 3 to 5 minutes.